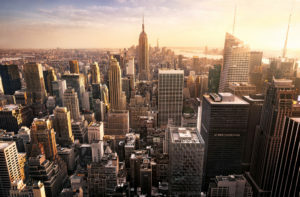 Most employers with a connection to New York City are aware that the City (as well as New York State) enacted legislation requiring mandatory, annual sexual harassment training covering nearly all employers (and employees) in the City and State. For the past several months employers have been left scrambling to draw inferences from the subtle vagaries within the City and State statutes and seeking guidance beyond the ambiguous answers set forth in the Frequently Asked Question “FAQ” sections provided by the New York City Human Rights Commission and New York State Department of Human Rights. While many of the provisions of this complicated and time-consuming law remain ambiguous, on April 3, 2019, the City released some final guidance that will help guide you on your path to compliance with New York City’s law. You can review the full FAQ section here. Q: When must NYC training be complete? A: Among the important clarifications is a requirement that training not only be provided each calendar year, but the initial training must be completed by New York City employees by December 31, 2019. This is in conflict with (and superseded by) the State requirement that training be completed by October 1, 2019, but nevertheless firmly establishes the City training requirement of 2019 being a mandatory training year. Q: How quickly must my organization train a new hire? A: ASAP. The NYC Human Rights Commission states: “Employers should train staff as quickly as possible after hire. Upon hire, employers are liable for sexual harassment by new employees” (emphasis added). The bolded language puts employers on notice that the NYC Human Rights Commission will be looking for training (or lack thereof) when there are claims of harassment involving new hires and therefore employers are strongly urged to complete compliant training immediately. We recommend implementing the training package as part of new hire orientation, ideally within the first few days the employee is working for your organization. Q: What if my employees have contact with New York City but do not work there? As such, anyone who has even the slightest amount of contact with New York City (arguably even a phone call with a client in that location) must take training that complies with New York City’s law. Importantly, if an employee takes a training module in his or her primary location that substantially complies with the New York City requirements, he or she does not need to be re-trained. Simply stated, New York City expects that all employees receive training on the prevention of sexual harassment in the workplace. Q: I hired a new independent contractor who claims he or she was trained. Do I need to re-train the contractor? A: No, provided the contractor can provide documentation that he or she took training within the last calendar year. If there is no evidence that training occurred within the last calendar year, the employee should be re-trained by the new organization to maintain compliance. Q: I would like to have employees complete training off-duty. Must they be paid? A: Yes. New York City has unambiguously stated that if an employer requires its employees to take the training outside regular work hours, the employees must be paid at their regular rate of pay. This means Plaintiff attorneys will be on the lookout for those organizations asking employees to view the training on their commute or at some other point outside regular working hours, which could lead to catastrophic damages in a wage and hour class action. While the updated FAQ and guidance from New York City clean up some ambiguities in the law, the City’s law places a heavy burden on all employers. For this reason it is essential that your organization formulate a plan for training your New York City-connected employees prior to December 31, and ideally by October 1, 2019 to maintain compliance with the City and State laws. Posted in Sexual Harassment and tagged New York City, New York City Harassment Training Law, new york harassment training, new york sexual harassment training, NYC training law, sexual harassment.